EAT. MOVE. LIVE. LOVE. GROW. GIVE. THRIVE. The Thrive Health & Wellness Inc. and Boston Medical Center partnership will work together to support BMC causes relating to health and wellness. Funds raised will be used to sustain efforts by BMC and Thrive to create a healthier Boston. BMC's goal is to make Boston the healthiest urban population in the world, which can only be accomplished by treating all health and socio-economic complexities existing among its patients and their families. Ensuring patients have access to: safe home environments; food meeting their dietary needs; addiction treatment services; and other social services supporting their everyday needs are just a handful of ways BMC is improving the health of the community. Together, BMC and Thrive Health & Wellness aim to help our patients achieve maximum well-being. 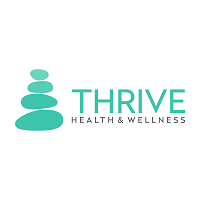 About Thrive Health & Wellness: Thrive Health & Wellness is a non-profit founded by longtime nutritionist and fitness coach Susanne Duato and Philanthropic Trust member Jim Geraghty. They work to provide underserved communities holistic approaches to health and wellness. By doing so, they ensure make certain people overcome barriers they often face when seeking preventive, alternative health care. Susan and Jim believe their partnership with BMC will best serve the needs of our community and help BMC meet its vision for 2030 to make Boston the healthiest urban population in the world. To support Thrive Health & Wellness's efforts on the behalf of BMC, please consider making a donation below. Team Thrive participates in a number of athletic events as part of Team BMC, BMC’s premier athletic fundraising program. To support Team Thrive’s efforts, please visit their fundraising website.